Emily Winfield Martin's delightful book, The Wonderful Things You Will Be, dreams of what children will someday grow to be. Dr. Seuss: Sparkle, Inspire, Pop! Dr. Seuss’ Oh, the Places You’ll Go! has to be one of the most inspiring and encouraging pieces of literacy for children and adults, alike. From the words of wisdom to the nostalgic illustrations, this story is a gift-book favorite among many. 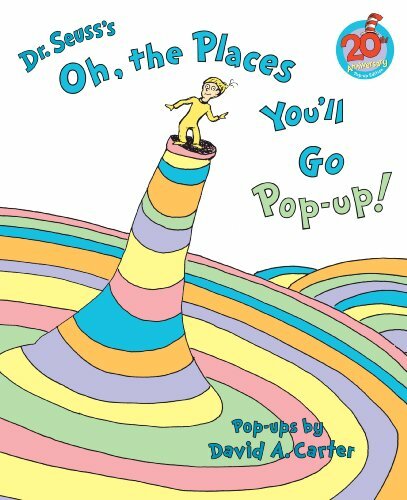 To celebrate the 20th anniversary of Oh, the Places You’ll Go!, a couple of new editions have been released. This awesome book now spins, sparkles, and pops.